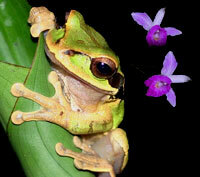 Discover the hidden treasures of Drake Bay, Costa Rica with Tracie "The Bug Lady" . 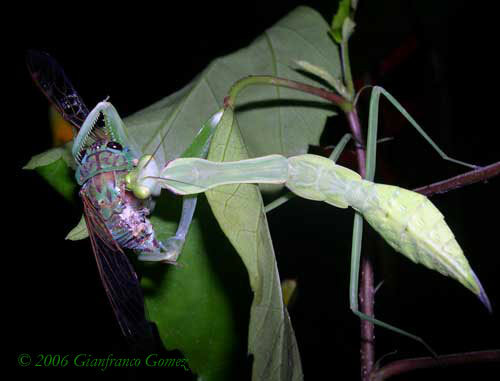 Some tropical mantises are known to eat frogs, lizards, mice, and even birds, as well as insects. 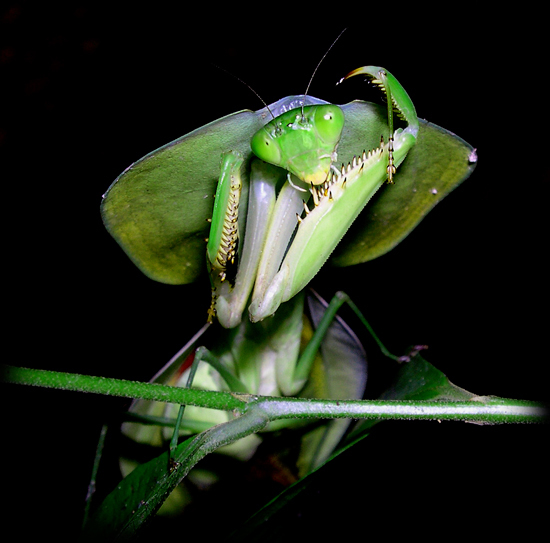 The sudden and powerful strike of the praying mantis takes only 50 to 70 milliseconds to complete. Some 400 years ago, while observing a praying mantis dispatch a cicada, renowned martial artist Wang Lang was inspired to create an entirely new form of kung fu. The mantis style - with its refined hand and arm positions, strikes, and grabs - mimics many of the postures and movements of a hunting mantis. 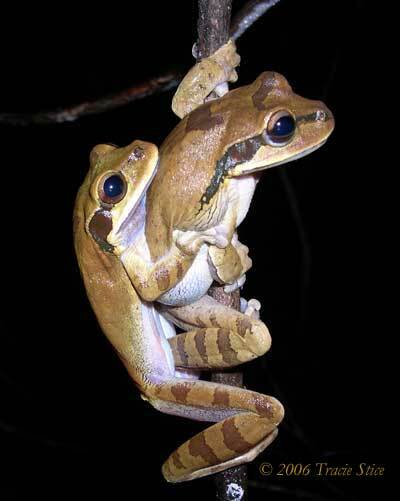 In the rainforests of Costa Rica, some snakes have evolved into highly specialized predators. Incredibly, there are snakes that eat only snails and slugs, while others that specialize on scorpions! 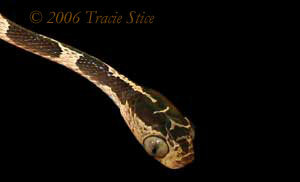 Chunk-headed snakes are fully adapted to life in the trees. They have a prehensile tail and an uncanny ability to cast their eyes downward. These unique adaptations aid the snake in seeking out sleeping lizards, their primary prey. Costa Rica boasts some 1,500 species of butterfly. 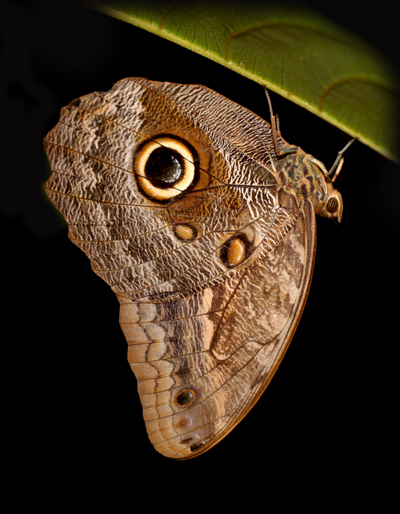 The spectacular Owl butterfly, with it's 13 centimeter wingspan, is among the largest in the world. 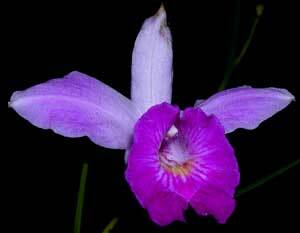 They inhabit lowland forests and are mainly active at dusk and dawn. 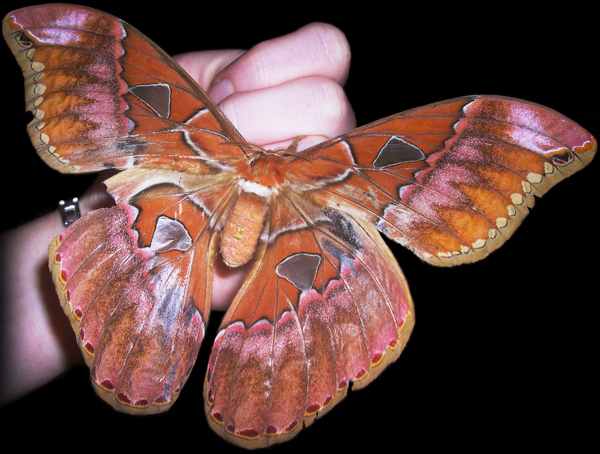 There are more species of moth than all the mammals, birds, fish, and reptiles put together! Come explore the fascinating nocturnal wildlife of the tropical rainforest with Tracie and Gian on this one of a kind adventure trek in Drake Bay, Costa Rica. "...This 2.5 hour tour is one of the most fascinating excursions in the area and shouldn't be missed. Tracie is a walking encyclopedia on bug facts - and not just boring scientific details. 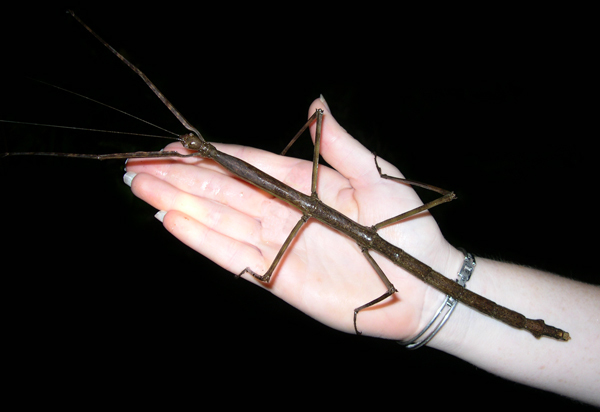 One of her fields of research is the military use of insects..."
Giant Walking Stick - Phanocles sp. Guests lodging at Jinetes de Osa Inn, Cabinas Manolo, Mirador Lodge, Cabinas Murillo and Aguila de Osa Inn who wish to participate on the Night Tour with Tracie "The Bug Lady" should reserve directly. These lodges have their own staff night tour guides and will put guests on their house tours. We ask guests lodging at Jinetes de Osa Inn, Pirate Cove, Cabinas Murillo and Cabinas Manolo for an advanced payment via Pay Pal in order to confirm their Night Tour reservation. The Night Tour is $40 per person and takes place nightly from 7:30 to 10:15 pm . Reservations are required. Your safety is of upmost importance. We will be hiking through the rainforest. There are uneven surfaces, slopes, and in some areas both natural steps and cement stepping stones. If you have any health issues (balance problems, knee issues, if you require the assistance of a walking stick, cane or crutches, or have vision problems) PLEASE let us know and we can decide if the night tour is the right option for you. Also, if you are traveling with children, please let us know their ages. Advanced reservations are highly recommended. 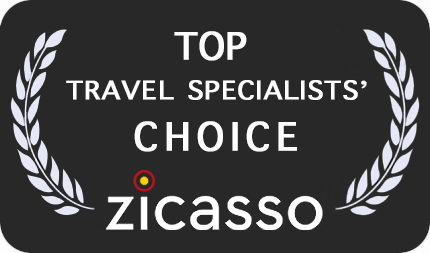 To ensure your place on the tour , simply click the following link. 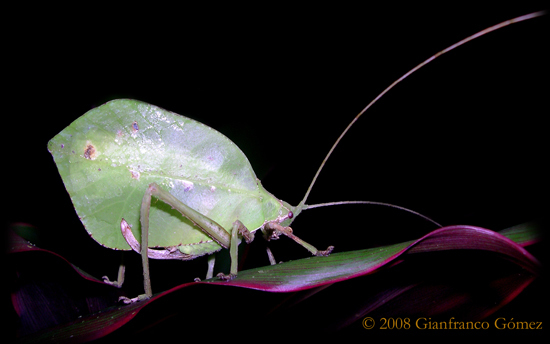 The Night Tour with Tracie "The Bug Lady" and Gianfranco Gómez is now on Facebook! Like us and keep up with the latest, most intriguing photographs and stories from the Night Tour and the natural world. Like us now! 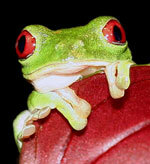 We really recommend the new Animals of Costa Rica App by Gernot Kunz for iPhone or Android. Click on the image below for more information!